You are here: Home / Date Ideas / NYC / Sunday Spotlight #9: Chloe Coscarelli, the Amazing Vegan Chef! Sunday Spotlight #9: Chloe Coscarelli, the Amazing Vegan Chef! 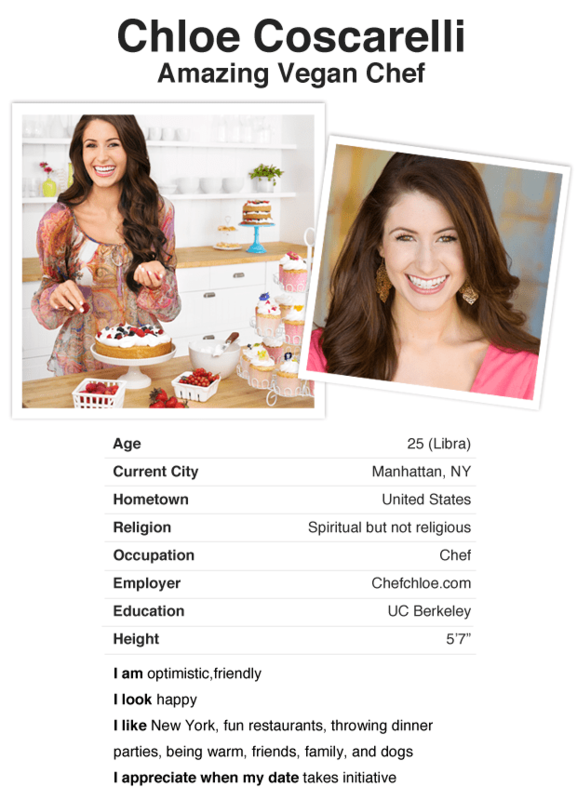 Sunday Spotlight #9 is Chloe Coscarelli, an amazing chef and a proud Coffee Meets Bagel member. Why else is she amazing? Just take a look at her photo – need we say more? We asked Chloe to share an easy, fun recipe from her new book, Chloe’s Vegan Desserts (to be released in 2 days, on Feb. 19th!). She recommends Mojito Chocolate Chip Cookies, which you can easily try with your Bagel or your friends. BONUS for NYC guys: Is Chloe your Dream Bagel? Dare to ask her out? Email us at [email protected] and we will make it happen for you. Follow Chloe on Twitter @ChloeCoscarell. 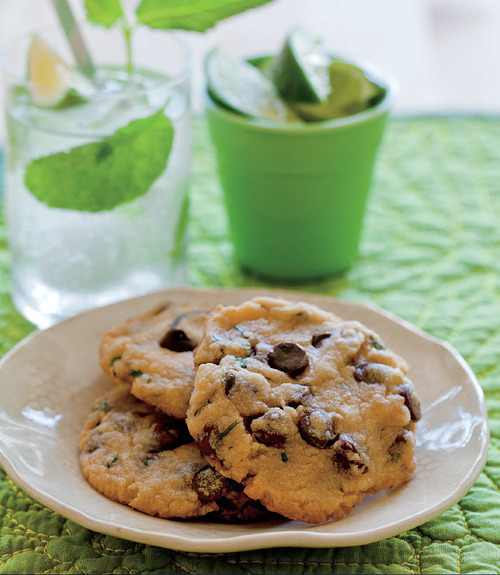 This recipe mash-up combines the best elements of mojitos and chocolate chip cookies in one! The lime zest adds beautiful green flecks to an otherwise seemingly average cookie. Serve these at your next cocktail party for a sweet surprise. Cookie dough can be made in advance and kept refrigerated for up to 1 week or frozen for up to 1 month. 1. Preheat oven to 350 degrees. Line 2 or 3 large baking sheets with parchment paper or Silpat. 2. In a medium bowl, whisk together flour, baking powder, and salt. 3. Using a stand or hand mixer, beat margarine until light and fluffy. Add powdered sugar, brown sugar, rum, and mint extract, and beat until combined. Mix in the flour mixture ½ cup at a time, then add zest and chocolate chips. Mix until combined. Combine sugar and lime zest in a small bowl.